Download here (1.8MB). In this issue: President's Report, our summer events, event reports, Great NOSH, Interviews with Sandra and Phil and Gordon;s report on the SunSEQer rogaine. Download here (3.6MB). In this issue: President's Report, coaching tips and club member pics (so you know who's who!). Download here (1.8MB). In this issue: Read Joel's thoughts on sports injuries, Alitia's thoughts on gender equality in sport, The Iskhakovs move to Canberra, and meet new members Lara and Phil. Download here (2.1MB). In this issue: Wedding Bells and an orienteering trip to Slovenia-Austria-Italy. This is our final Blueprint edition from Marina, with the departure of our favourite Russians to Canberra. I'm sure we'll bump into them at a few events. Download here (1.4MB). In this issue: The President's report for 2016, meet long time member Julian and new member James, and read about Fedor and Marina's visit to Google Headquarters in California. Download here (1.8MB). In this issue: Read about this year's Aus. Champs and QLD Champs, meet club member Brett and launch back into Street-O ith this season's Sydney Summer Series. Download here (2.8MB). In this issue: Terry and Cheryl's outback trip back from the Aus 3 Days orienteering in SA and comments from orienteers about Bennelong's Gumble Pinnacles map. Download here (3.0MB). In this issue: some new Australian Citizens on Australia Day, a review of Sprint the South, the Christmas BBQ, a preview of the NSW 2015 Long Champs and interviews with club members Richard and Cheryl D.
Download here (1.0MB). In this issue, Bennelongers have been far and wide to compete across the globe. Read about the Aus Champs in WA, the World Champs in Italy (including the Venice Sprint event) and the Narth-Atlantic Champs at the Faroe Islands. Lots of pics and good stories. Download here. Read about Mel and Kathy's amazing African adventure with lots of pics, meet Clare Williams and wrap up the Sydney Summer Series! Download here. 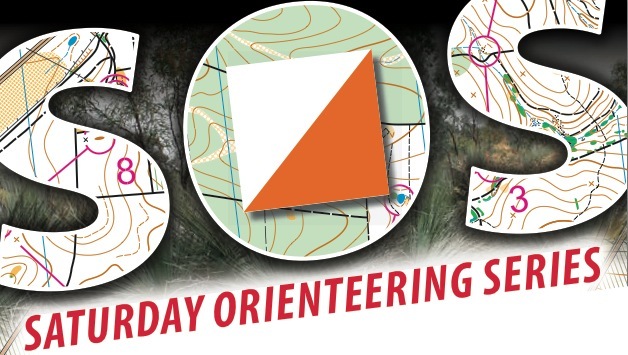 Read Barry Cole's orienteering story, meet the Tsangs and Povahs, and find out where the money goes from the club Treasurer. Download here. Read about the Australian Champs, hear from one of the club's founding members, meet some new members and find out about Marina's experience in the World Rogaining Champs. Download here. Read about Easter 2013 at Bendigo, Marina and Fedor's orienteering adventures in the UK, our State League Event at Wattle Ridge, Bob's experience setting a sprint event, and meet the Povah family and Mark Savery. Download here. The holiday special: Read about The Oceania carnival in New Zealand and the Christmas 5-Days in Beechworth, Victoria. Download here. This issue is packed to the brim with adventures! Terry teases about his awesome experience at the Northern Territory Orienteering Champs, Kathy gives us a run down on her and Mel's ICE-O in Iceland, and Darren waxes lyrical about his hike up Mt. Fuji in Japan! After a great Back to Granite State League weekend Rob gives us a report and Marina asks "What is your most typical mistake in Orienteering?". Download here. Marina has done it again and produced an excellent Blueprint. This issue we ask, "have you dreamed of being an orienteering world champion", see some interesting statistics on entrants of the Great NOSH Footrace and we get to know two of our newest members: Pierre and Chris. Download here. Find out about Gordon's fundraising for the Fred Hollows Foundation in Coastrek 2012, Round 2 of the DuO Adventure series at West Sydney Regional Park, Fedor and Marina's Uluru adventure and what out club members would be doing if it weren't for orienteering! Download here. The Christmas issue features an end of year wrap-up and Mel Cox's awesome Kilimajaro climb adventure. Download here. This issue is packed with international adventures! Gordon writes about trip to the World Orienteering Championships in France and Robert writes on the boggy moorlands at the Scottish 6 days. With snapshots of the maps at both events this issue should not be missed! Download here. Find out how Bennelong Northside went in the Frazzle Rock orienteering event in Western Australia, what our members love the most about orienteering, who are new Russian members are (that's Marina and Fedor in the pic) and how Melvyn went on ABC TV's Letters and Numbers! Download here. In this edition read profiles of the newest club members: Joel Putnam and Darren Slattery, and read about Bruce and Janet's O Story. Download here. This edition features Rob Spry's article on his trip to antarctica, Geographic Adventures in the Deep South. Download here. Read the report on the Junior World Orienteering Championships in Dubbo and see the new club shirts. Download here. Mel and kathy Cox celebrate their 20th wedding aniversary. Download here. Eric Moss makes the Australian team for the World Orienteering Championships in Denmark. Download here. Easter at Castlemaine! Download here. The Sydney Summer Series is inn full swing. Find out how the BNO events have gone.